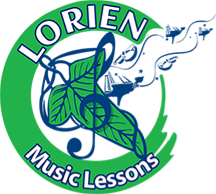 Violin lessons at Lorien Music Lessons are offered for both children and adults in different genres. We use advanced and exciting methods to present different repertoire and techniques. Our violin instruction includes Suzuki and Traditional methods as well as Cajun fiddle and traditional folk music playing. The essential principles and the fundamentals in violin are important for all levels of performance. We help our students to continue their development through the violin curriculum and acquire significant repertoire. Our beginners start with learning the parts of the instrument, correct posture, finger placement and bow hold. The advanced students continue to improve by learning significant repertoire and develop advanced techniques. We also incorporate music theory, ear training, sight reading, and music history to our violin instruction. Our Violin Lessons are for all ages, interests and levels. We provide exciting and engaging instruction in a very friendly environment. Our goal is to achieve the best possible learning in a well-tailored curriculum that meets the individual needs of our students. The private instruction is the most effective way to learn a musical instrument. The specifics of learning a new instrument require one on one attention that cannot be replaced by group lessons or modern-day technology. Lorrien Music Lessons offers violin lessons in 30 min., 45 min., and 60 min. sessions. The length of the lessons depends on the age and level of the students and their commitment. The instruction is led by university trained music teacher with degree in violin, piano, and music education. Music theory learning and ear training have been integrated in all private lessons to aid student’s growth in their way of becoming professional musicians. We provide weekly lessons at a day and time that fits your schedule and availability. Parents are welcome to stay and participate (if they wish) in their children’s lessons. When parents are involved, kids learn quicker and it’s also a great way to create wonderful music atmosphere in the family. ​The violin is the heist instrument from the string family and has a beautiful tone that can be soft and expressive or thrilling and vivid. The violin is more than four centuries old, first made in Italy by Andrea Amati (c. 1500-1577) who was the first violin maker. He set the proportions in violin making for future generations. The violin become very popular during the sixteenth and seventeenth centuries and many noble families and royal courts commissioned its production. There were many great violin makers, including the well-known Stradivari whose violins are considered the best bowed stringed instruments ever made. They cost millions of dollars and only the best violin players in the world have touched them. At Lorien Music Lessons, Mrs. Vanya Doychev now offers lessons to beginner and advanced fiddlers! You can learn easy versions of some of America's most-played fiddle tunes and play duets with her-even if you've just started playing! In a very detailed instruction, Mrs. Doychev will provide all the tools you need to learn fiddle and play tunes with skill and confidence. You'll learn how to play in several keys and will have plenty of opportunity to practice your tunes right along with Mrs. Doychev. Under her careful instruction on bowing, noting, timing and other techniques you will be set for a long time of good fiddling. As you improve, you'll add progressively more difficult elements to your repertoire to keep your fiddling even more exciting. "Very generous and professional! Vanya is a great and experienced teacher! She has a heart for music and teaching."